Imperial College London has recently established the Healthcare Professional Academic Group (HPAG), to facilitate NIHR Imperial BRC strategy to increase the number of clinical academics in nursing, midwifery, allied health professions, pharmacy and healthcare science across the Imperial College Academic Health Science Centre (AHSC). 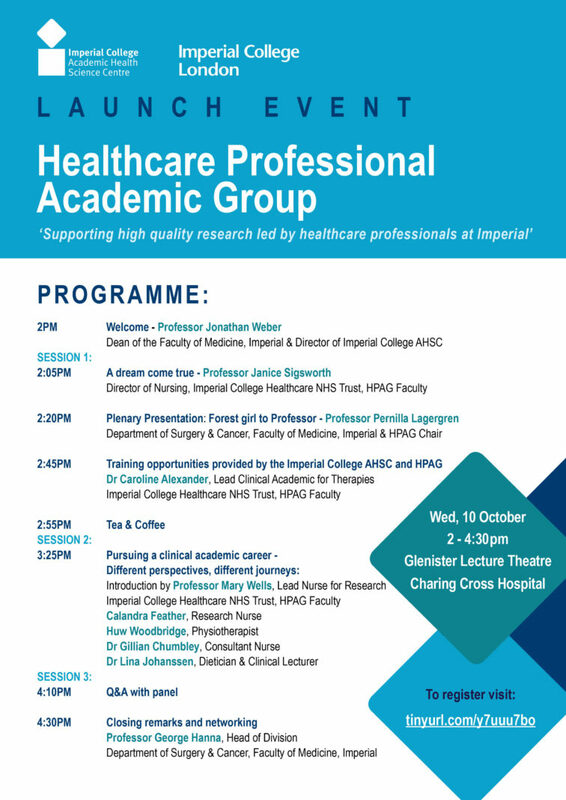 The HPAG will bring together a critical mass of Imperial clinical academic leaders from across the healthcare professions, providing a focal point in the University for research led by healthcare professionals and with the aim of developing more clinical academic leaders across the AHSC, in close partnership with CATO. The group will host a launch event on 10 October 2018 to highlight the opportunities it presents for healthcare professionals from across the AHSC, focusing on how the HPAG can support high quality research. 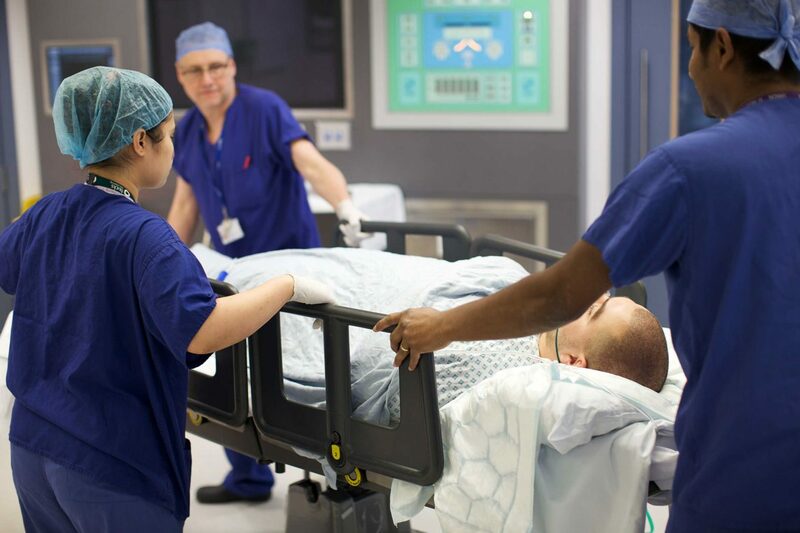 There will be opportunity to hear from Imperial leaders in the healthcare professions, from those pursuing a clinical academic career, as well as networking opportunities over tea breaks and a drinks reception at the end.